Danny DeVito voicing Pikachu is still a dumb idea. In case you haven't figured it out by now despite it being completely obvious, Great Detective Pikachu isn't about the famous Pikachu we all know and love. It's about a wise-cracking, beautiful woman-appreciating gumshoe who, like Meowth, happens to know how to speak in human language. And that's awesome. And Danny DeVito voicing Pikachu is a really stupid idea, so please stop spreading those videos around. 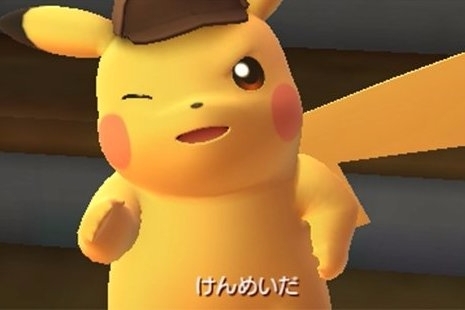 Nintendo has released additional details surrounding the game, such as the fact that this Pikachu is bossy and pushy and likes to invite women out to drink tea. He loves coffee, never shuts up, and always walks on two feet like a human. He can't even use electrical attacks right. He should have just been born a human. The human characters in-game look suspiciously Disney-like as well, especially Pikachu's companion Tim and the Detective Agency Assistant Amanda Braxton. I'm not sure anymore if this is Kingdom Hearts or a Pokemon game. In any case, at least the Pokemon look like themselves, as you'll find an Aipom, Furfrou, Scraggy, Slurpuff, Fletchling, Ludicolo, Trevenant, Drifblim, Litwick, and more in-game. 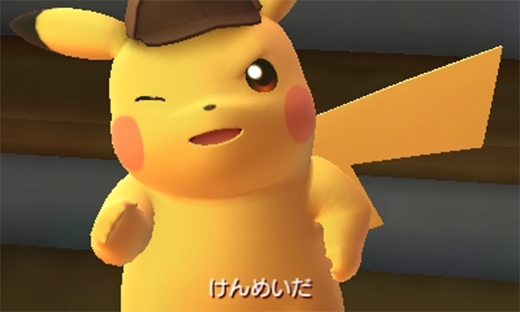 As Tim, you'll work alongside Pikachu to collect evidence and clues to solve cases. Basically, it's Phoenix Wright for Pokemon fans. I'm excited to see if it's any good or not, but hopefully with an appropriate male voice and not some silliness based off of a petition.